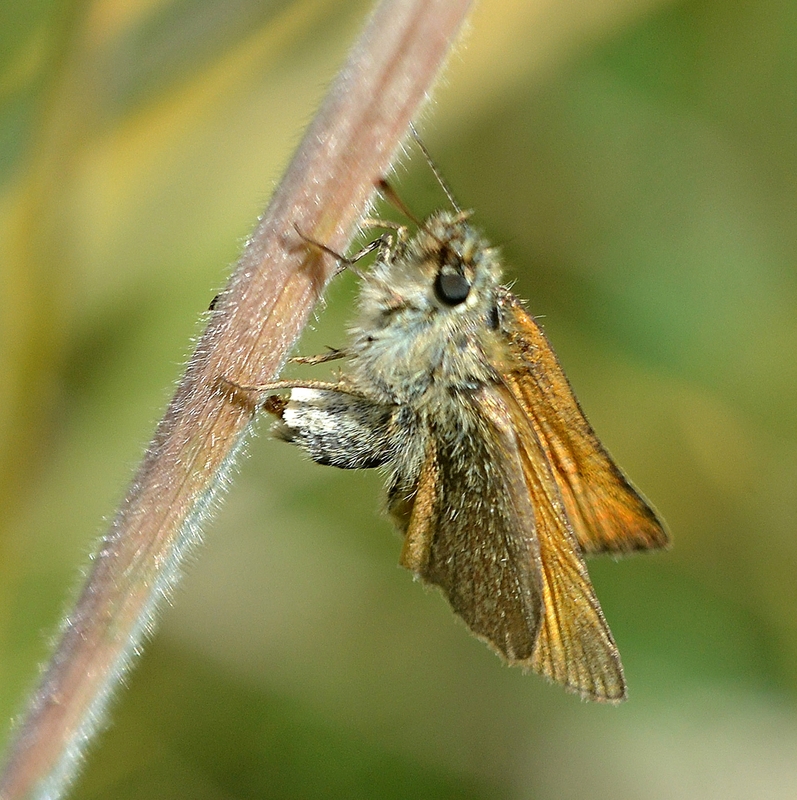 At Durlston on Saturday 7th July we came across this very strange Small Skipper. It looked whiteish in flight – quite different from the other Skippers, and really stood out when it was settled with its brilliant white patches. This entry was posted in Gallery and tagged Aberration, durlston, Small Skipper on July 10, 2018 by Lynda Lambert. We could run a caption competition on this, couldn’t we? What are the two male Small Skippers saying to one another? This entry was posted in Featured photo, Gallery and tagged Motcombe Meadows, Small Skipper on June 25, 2017 by Lyn Pullen. A male Small Skipper photographed at Sandford Heath on 10/07/2016. This entry was posted in Gallery, News, Recording, Sightings and tagged Sandford Heath, Small Skipper on July 17, 2016 by Andrew Cooper. Large Skipper. Photo: Diana Jones. Thanks to Diana for this very summery shot, taken at Cerne Abbas on 29 May. This entry was posted in Gallery, Sightings and tagged Cerne Abbas, Small Skipper on June 3, 2016 by Lyn Pullen. A female Small Skipper photographed at Broadcroft Quarry back on 29/06/2014. 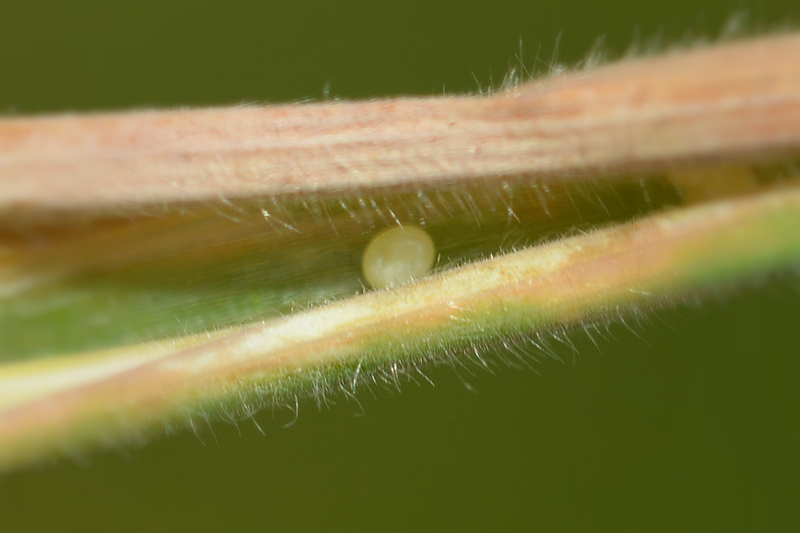 A terrific pair of shots taken at Badbury Rings on 23/07/2015, the top of a Small Skipper butterfly laying eggs in a grass stem and then one of the resulting eggs, below. 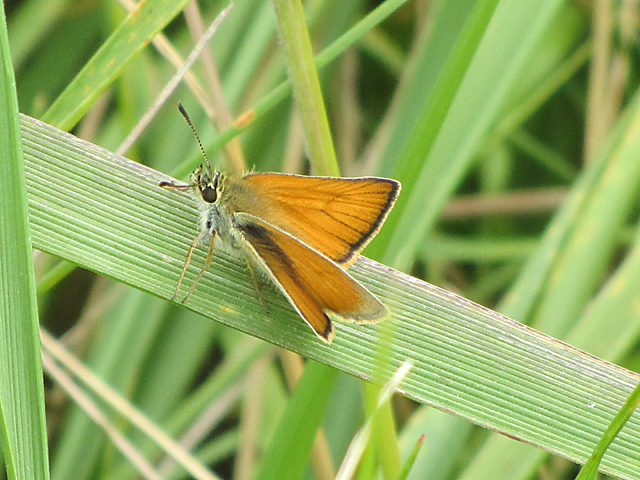 This entry was posted in Gallery and tagged Badbury Rings, Small Skipper on July 31, 2015 by Andrew Cooper. 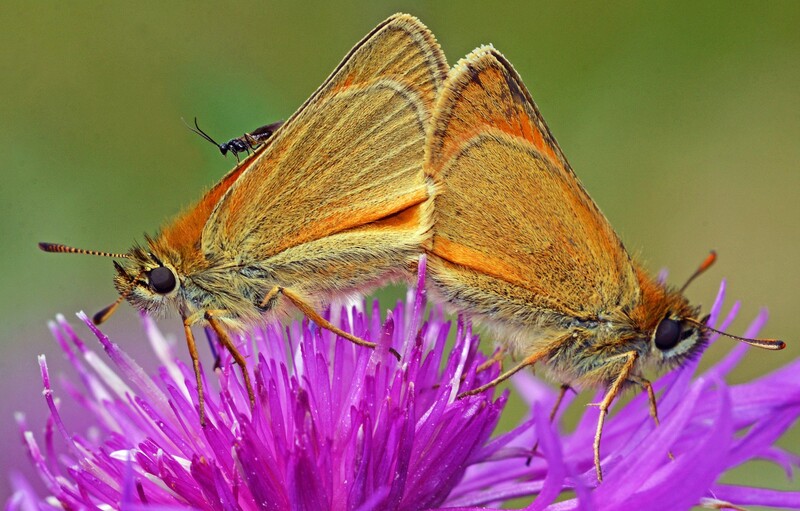 This entry was posted in Gallery and tagged Motcombe Meadows, Small Skipper on July 10, 2015 by Andrew Cooper. 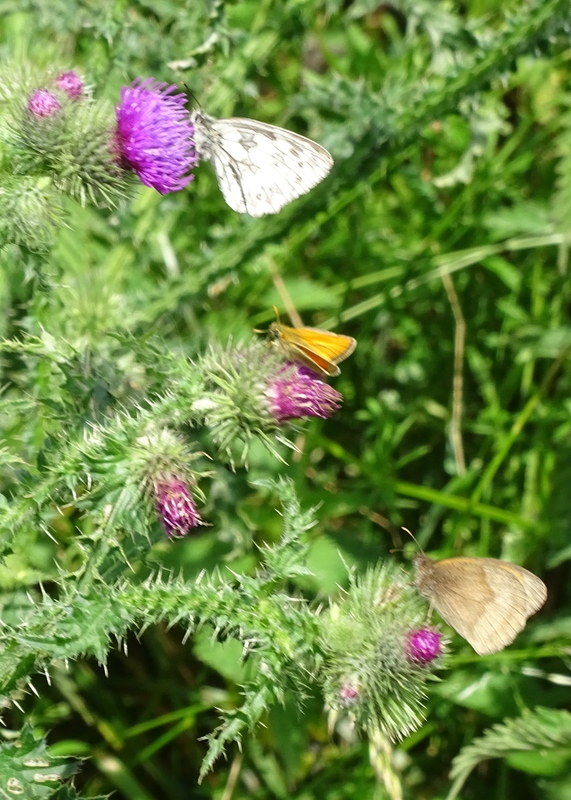 A lovely trio of butterflies; a Marbled White, Small Skipper and Meadow Brown photographed at Maiden Castle on the 04/07/2015. This entry was posted in Gallery and tagged maiden castle, Marbled White, Meadow Brown, Small Skipper on July 6, 2015 by Andrew Cooper.